Badminton has been an Olympic sport since 1992 for both men and women competitors. As in most sports, good equipment will help make the most of your potential, but it will not replace ability and practice time. If you are in the market for a new racket, knowing the top 10 is a great start, but your purchase needs to suit your skill level and playing style. You need to consider several factors when choosing a badminton racket. Issues include string tension, racket weight, flexibility, balance and the size of the hand grip. Different rackets are also suited for certain playing styles. 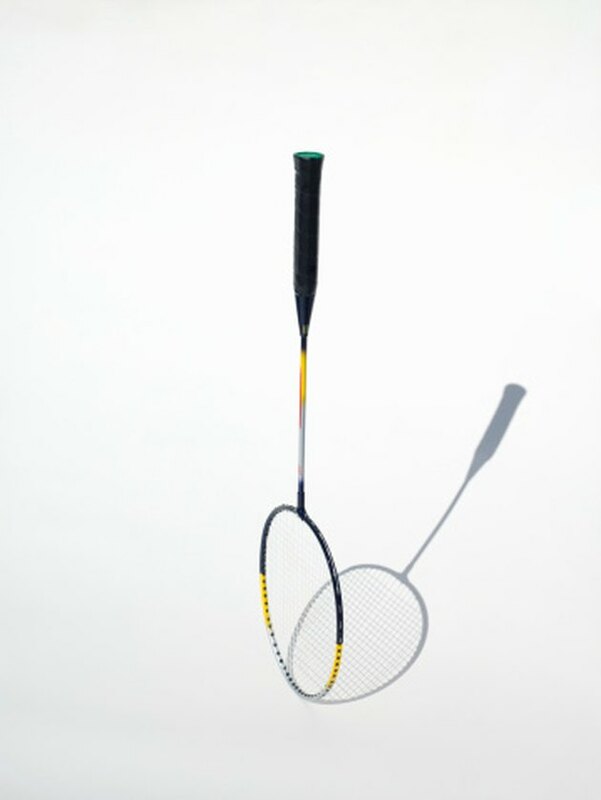 If you are a power player, you will prefer a stiffer racket. If you like to finesse, you may like a lighter racket that allows you to make quick wrist cuts at the net. To determine your best option, test as many rackets as possible before you purchase. Consider your playing style and your budget. According to a straw poll by Badminton Secrets, the following are top racket picks: Yonex, Carlton, Wilson, Yang-Yang, Victor, Prince, Black Knight, Gosen and Pro Kennex in that order. A popular racket in the U.K. is the Ashaway. Each racket has special attributes that work best based on your playing style, experience, strength and balance. Most rackets are manufactured using carbon fiber or graphite. Based on technological advancements, rackets are now available with titanium, kevlar or nanocarbon inserts. Yonex manufactures six different "series" of rackets. Each type of racket is manufactured for a specific playing experience. For example, the Arc Saber series of four different rackets is a favorite of aggressive and professional players. Depending on the series, the rackets offer graphite frames with different types of inserts. The basic series has a aluminum frame and steel shaft. The rackets can be strung with different weight, composition and color of strings to provide the specific tension you prefer. The Carlton rackets have a choice of titanium alloy heads with steel shafts. These rackets are popular for recreational players. Carlton also has a popular line with a heavier head balance and a classic head shape. The heavier Carltons are stiff rackets that provide a lot of power for aggressive, professional players. Carlton technology focuses on improvements in frame construction, hand grip and head geometry. Top 10 Badminton Rackets: Which Do You Have?